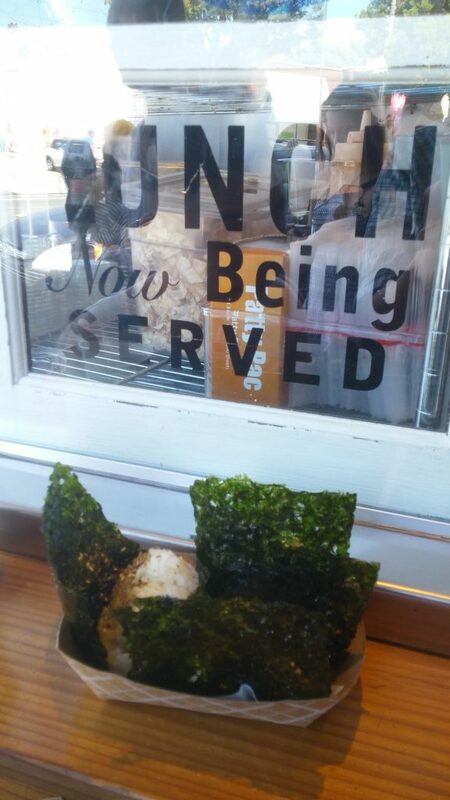 Fresh, filling, and light Japanese onigiri (also known as omusubi or rice balls with filling) in a hip joint in Santa Monica. Definitely a nice place to go to if you like Japanese food, if you're a foodie in general, or if you just want a nice snack while you're walking down the fun Main Street in Santa Monica. If you've ever been lucky enough to have some onigiri (おにぎり) in Japan--whether it was at a restaurant, at 7-Eleven, or at a subway station--then you know that these little rice balls are functional food at its best. You can eat 'em on the go, warm or cold, and be filled up and yet not be depressed that you're eating some crazy junk food that people are silently judging you about. The thing is, Japanese onigiri, or omusubi, is not incredibly easy to find in the United States like it is in Japan. The best bet is to find some Japanese supermarket--like Nijiya, Mitsuwa, Marukai, etc.--and then go straight to the prepared foods aisle. 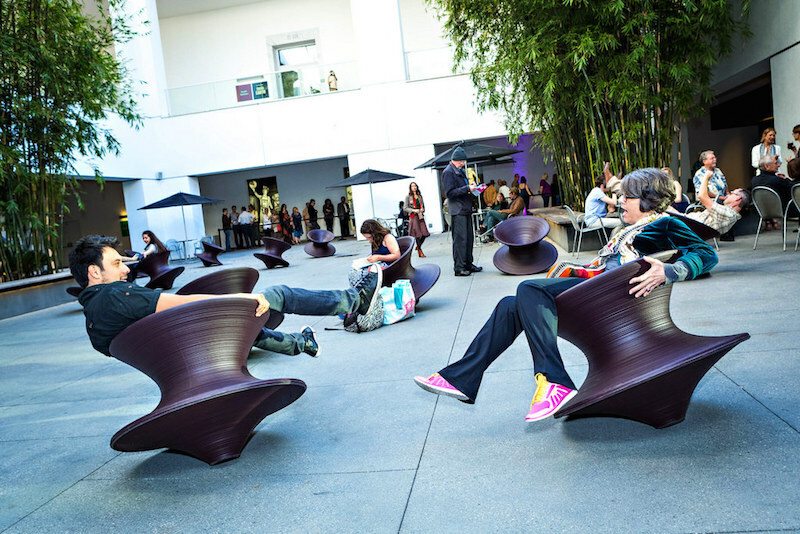 Or...You can go to Sunny Blue in Santa Monica! Sunny Blue specializes in onigiri, and it has tons of different kinds and fillings! 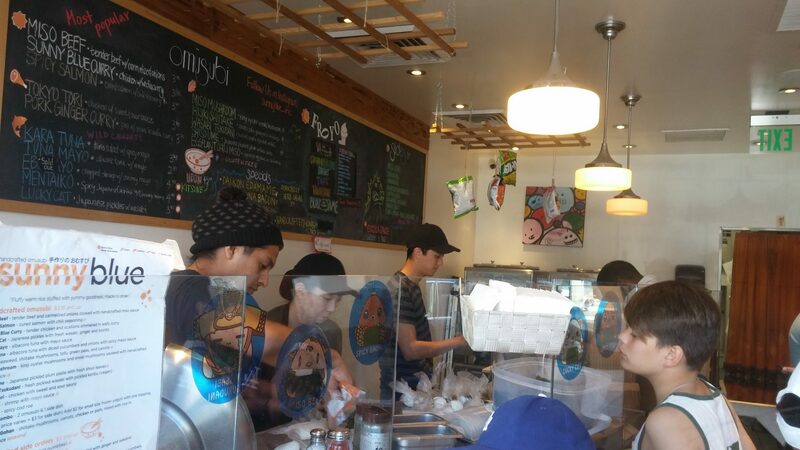 Sunny Blue is a pretty small space with friendly employees diligently working away at making the onigiri. There are perhaps five chairs in the entire shop, so you probably want to plan on just eating the onigiri outside in the warm Santa Monica sun instead. It's cool though--Sunny Blue is on Main St. which is safe and has tons of people walking by to see the different shops and restaurants. 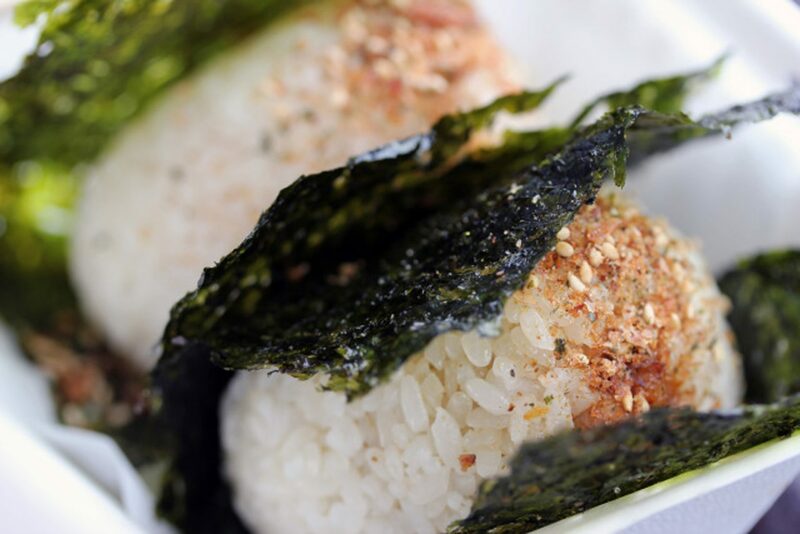 The onigiri definitely does have that nice and fresh Japanese taste but also has that American flair in the way that it's presented. At around $3-$4 a pop, it makes sense to get a couple of 'em so that you're adequately full; surprisingly, they do fill you up quicker than expected. The choices on the menu are plentiful; there's Sunny Blue Curry, Miso Beef, Tokyo Tori, and Spicy Salmon, for instance! Each one is definitely packed with flavor. The furikake sprinkled on top with the nice and crispy seaweed (nori) is to die for! Also, they do have froyo and udon here—or so we heard. We’ve never tried 'em ourselves but maybe you can and be a trailblazer! 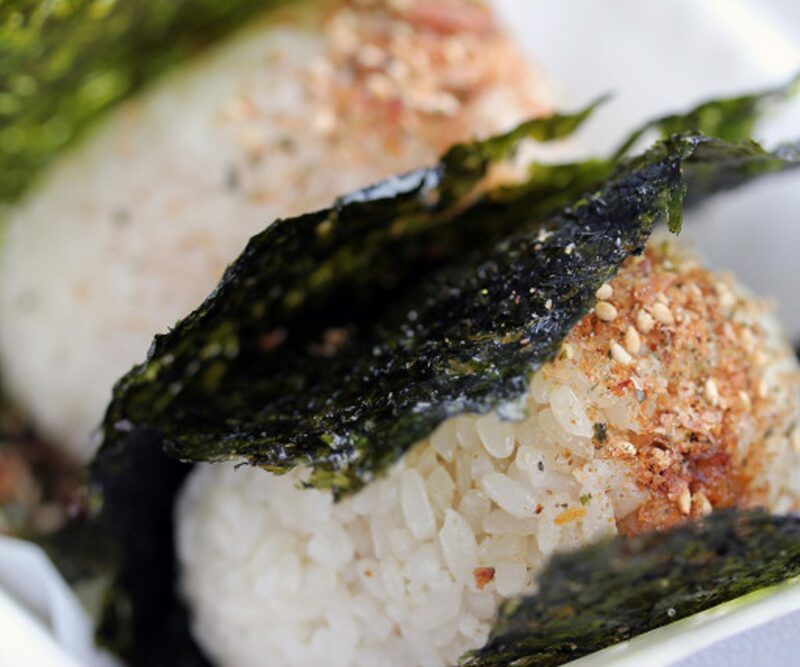 So the next time you're in Santa Monica, definitely check out Main Street and stop by Sunny Blue for your Japanese onigiri fix!